. I like very aggressive thigh hooks in my kayak. 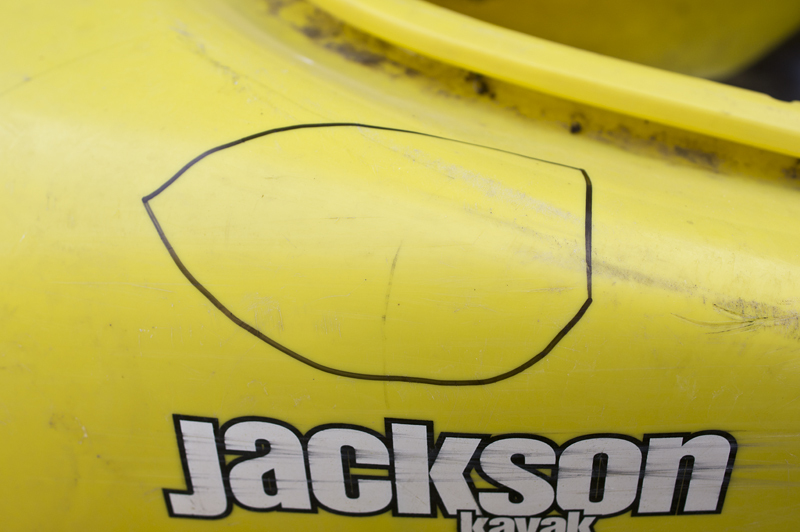 Adding thigh hooks to your boat is in no way endorsed by Jackson Kayak. This is just my little addition to my personal kayak. It may, or may not work for you and judgment should be used. If you do install thigh hooks in your kayak, make sure they do not hinder your ability to exit in an emergency. Step 1. 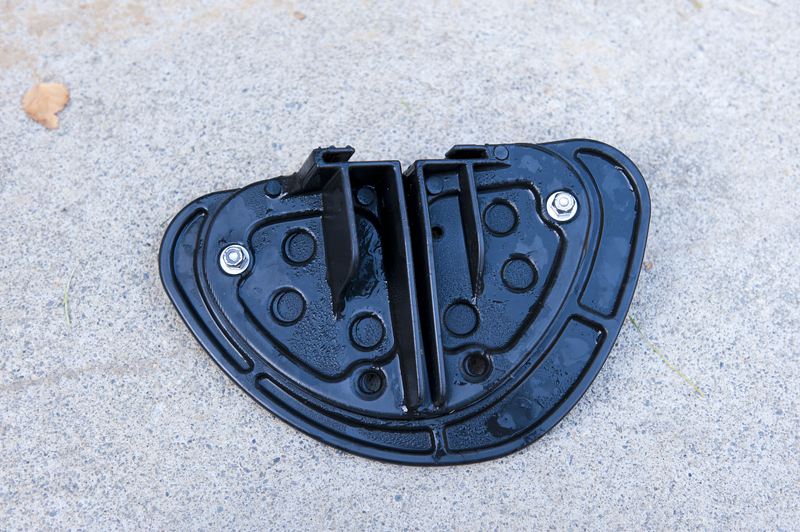 Pull the plastic foot blocks out if your boat. 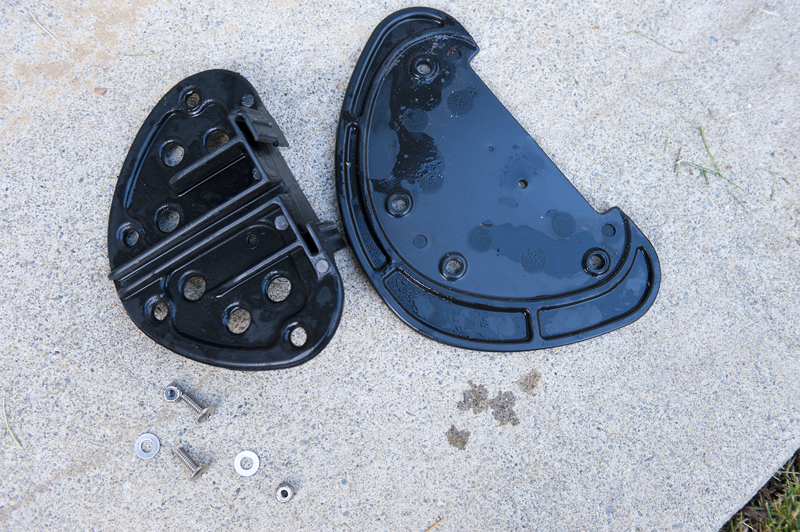 Turn it over and note how the attached plastic plates are only about 1" larger than the foot plate bases. Step 2. 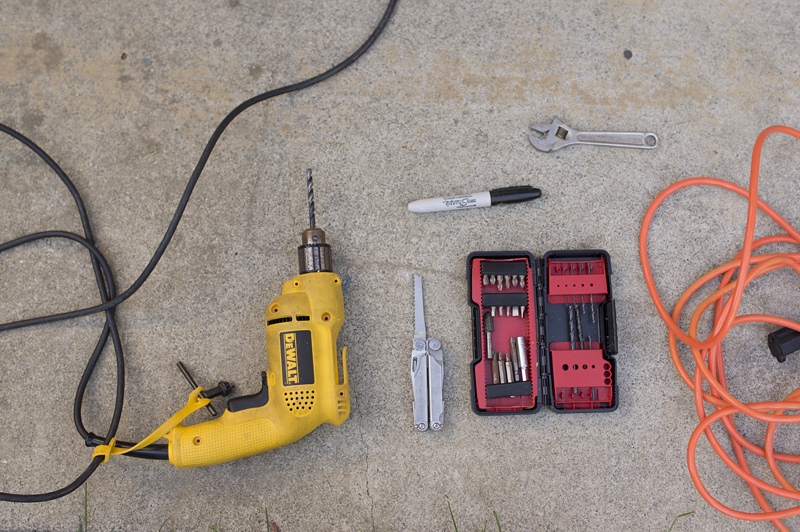 With the wrench and screwdriver, take the plate off and toss the plate in the plastic recycling bin. Save nuts and bolts. Step 3. 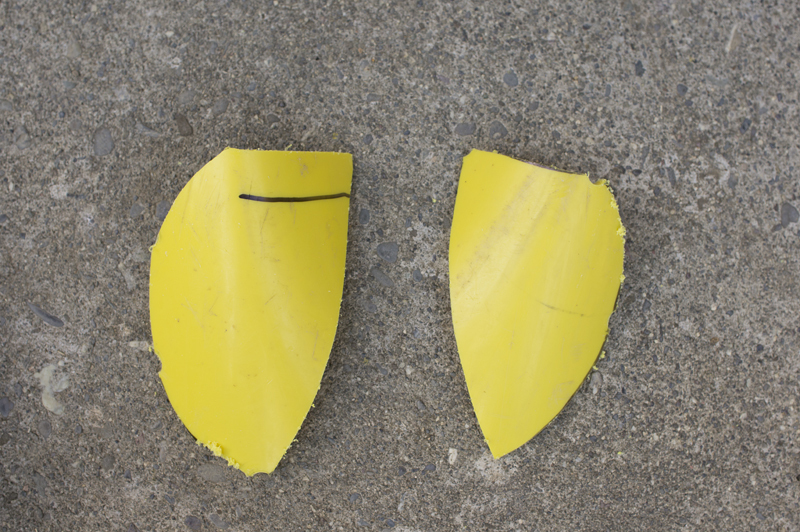 Reinstall plastic foot blocks in kayak. This only works if you use the foam block too (which you should). Step 4. 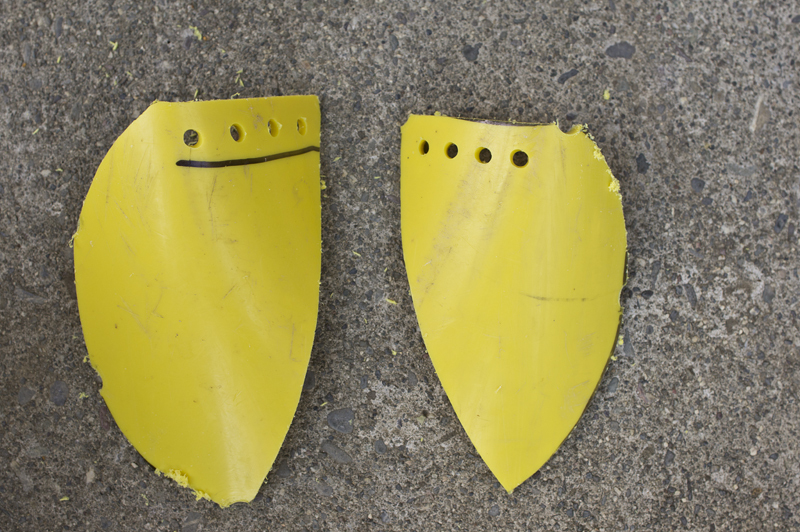 Draw thigh hook shape on the broken boat. This will take a little imagination. 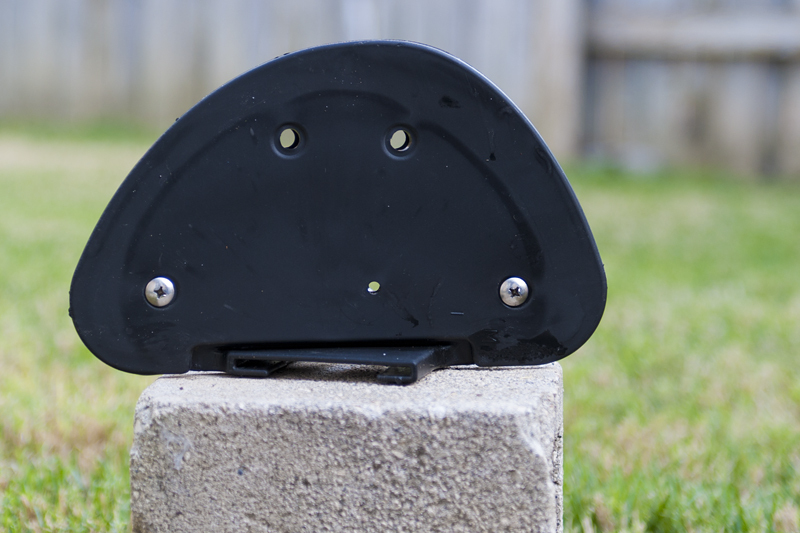 Try to find an area with a large transition of angles so the thigh hooks have enough shape. I use the stern or previous thigh hook area. Step 5. Drill a hole large enough for your saw at each major angle change. Step 6. Saw from hole to hole. Step 7. Using a drill bit that is the same size as the bolts from Step 2, drill a few holes on the straight edge of the thigh hook. Step 8. 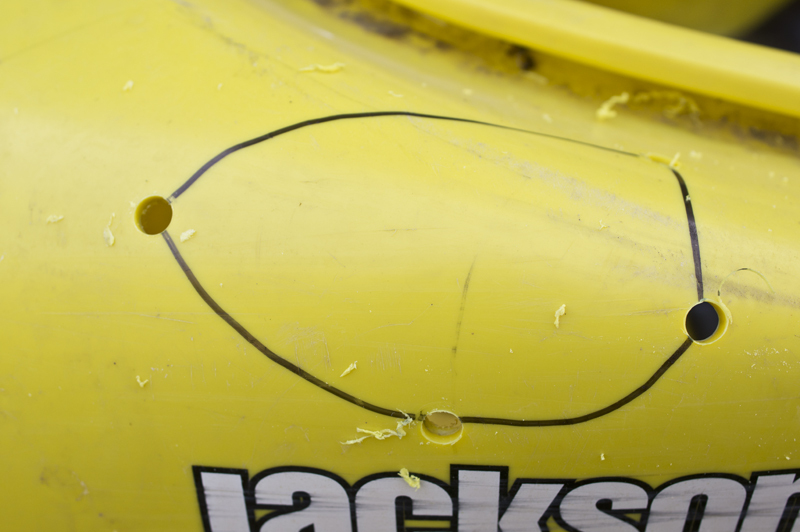 Use drill to remove rear plastic rivet which anchors padding in your kayak. Step 9. Sitting in the kayak, install bolt from Step 2 into thigh hook and check for fit by installing in the hole once occupied by plastic rivet prior to Step 8. Step 10. Install bolt into the appropriate hole for correct fit of your thigh hooks and then tape foam to the inside of the thigh hook. Step 11. 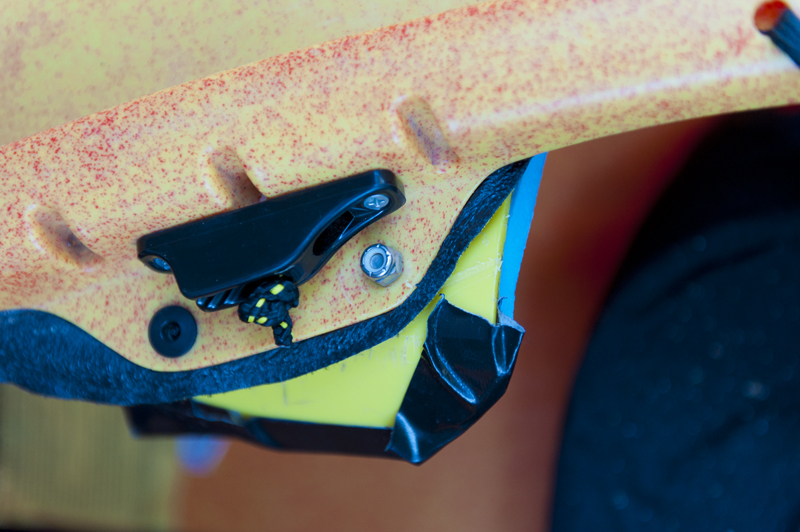 Install thigh hook into kayak with the nut on top and foam in place. Tighten with wrench and screw driver. Make sure you will still be able to exit unhindered in an emergency and enjoy!